When I started my Online Business Project I decided to host my Website at WIX.com. The code of the site got buggy and horribly slow over time. No matter what I tried, the user experience was horrible and it couldn’t be improved. After a thorough research switching from WIX to WordPress got inevitable. With the promise of a better solution within my grasp, I only had to figure out away, to move all my content from Wix to WordPress. The actual process got quite challenging really fast. Back in 2017 I had no idea how to operate a website and why I’d need one in the long run. WIX.com offered a visually appealing and affordable solution for my needs. The Drag and Drop Website Builder was a welcome and easy way to build my first website. Even though it still took me over a month to finalize my website, It helped me to grow my business and give my work the professional look it needed. 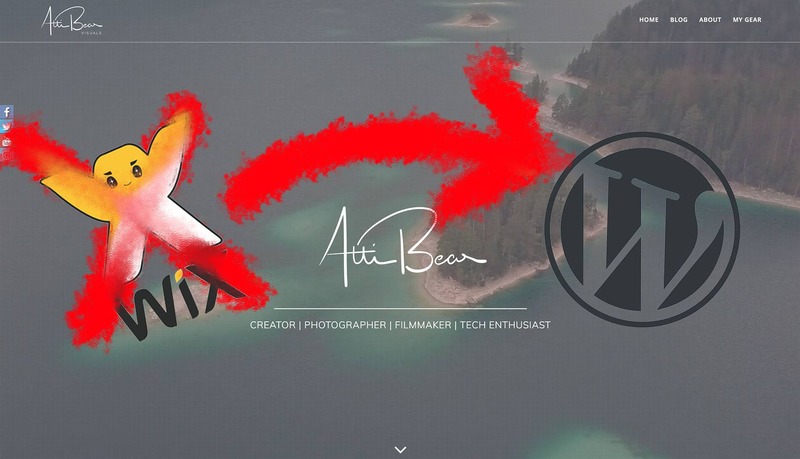 Switching from Wix to WordPress. Is it easy? The easy answer to this questions is clearly no. Switching from Wix to WordPress isn’t easy. Especially if you have a lot of content in your Blog. If you are considering Web Hosting solutions, take your time before you decide. Starting with the wrong platform can not only cost you a lot of money, it even can keep your business from reaching its potential. So think through everything your website needs to deliver and choose the right provider. Was it worth to switch to WordPress? Absolutely. It was a hell of a work to finish my new website, but it was worth every drop of sweat, tears and blood. In the process I was able to learn a lot about how the Internet works and this will also help me to become a better Blogger in return. I was wondering if other people were facing similar problems. If you’d like me to post tutorials and more detailed information on how I pulled off the merge from WIX.com to a hosted WordPress solution, hit me up in comments.